To begin: the mini keg obviously holds 5 liters. A standard bottle of beer contains 12 ounces. According to Google’s awesome math skills, there are 169 and a smidge ounces in 5 liters. 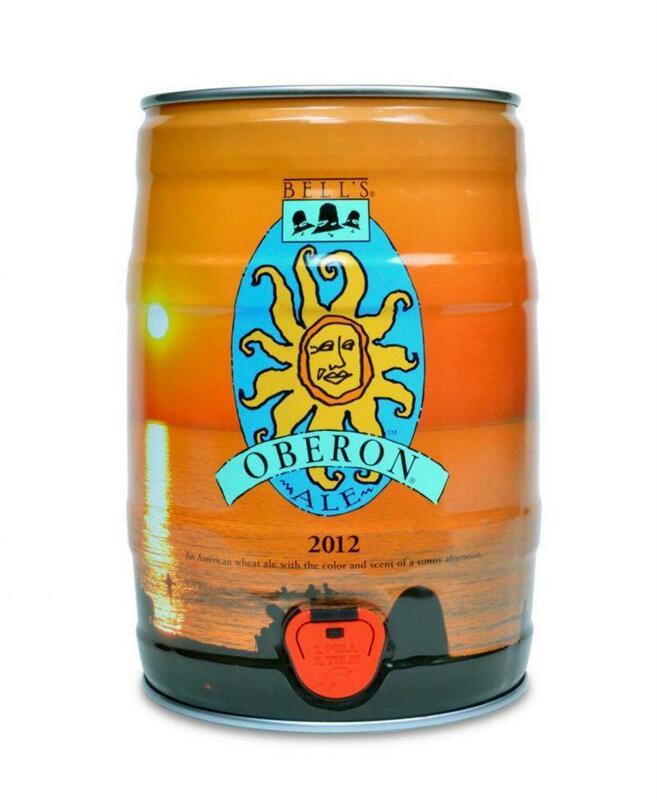 Using my own awesome math skills (aka my ability to open Windows calculator), we find that this barrel of deliciousness holds just over 14 bottles worth of Oberon. Now, with all of that information, let’s break the prices down per ounce, both for a six-pack of Oberon and the mini keg. On The Party Source’s amazingly convenient catalog, a six-pack of Oberon is $9.89 for 72 ounces and the mini keg is $20.99 for the Google-formulated 169 ounces. Note: the $20.99 is out of stock, so that might be last year’s price, but we’ll work with it anyways. Verdict? The difference is negligible. If you have a crowd who will put down the mini keg in a day or two, go for it. If you’re Lone Ranger’ing it this weekend and don’t think you’ll drink 14 beers even with an extra day off of work, just buy a six-pack and enjoy. Just know you won’t get the cool decoration piece of an empty mini keg to remind you of this terribly hot holiday weekend. Regardless, enjoy yourselves this weekend, drink well, and drink safe! I hate to sound like a stereotype and all, but math hurts my head. Thanks for doing all the hard work for me!